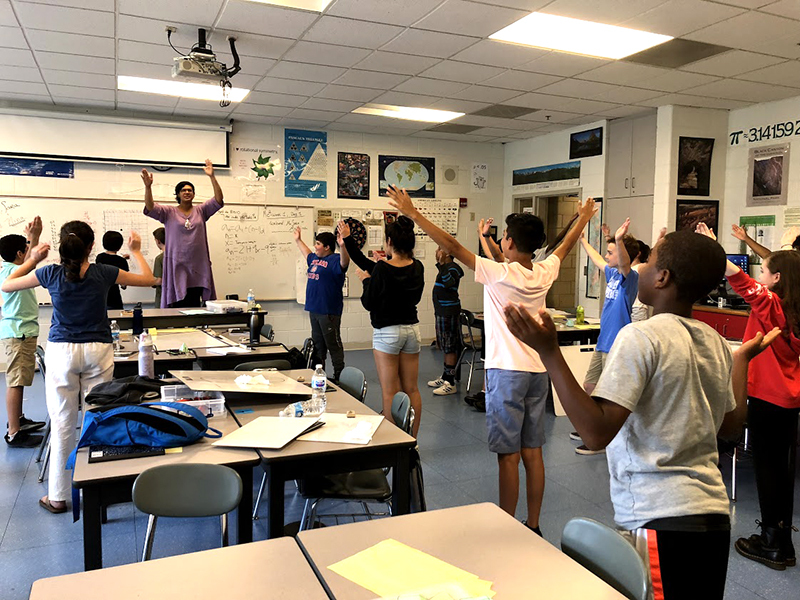 Math Circles of Chicago sessions are led by classroom teachers, graduate students, undergraduate students, and community members with a passion for math. If you’d like to lead MC2 sessions, or start out by volunteering, let us know! You can also participate in our classroom observations or take one of our teaching workshops. MC2 has doubled the number of students in serves over the last three years, and we expect to double again over the next three, so you are needed! Prospective math circle teachers and volunteers click here! MC2 has five program levels and seven locations, so there are many opportunities to participate. Each session has a ‘lead teacher,’ who is paid. We also are looking for adults or high schoolers who have participated in math circles before to support our leads. We provide the lesson plans, which are continuously updated by the team of teachers participating in sessions–for example, Haynes, our program for 5th and 6th graders, is offered at all seven sites, and teachers involved with Haynes communicate, share ideas, and revise plans all of the time! Over the last three years we have developed a set of teacher workshops–What is a Math Circle? ; Building Community in a Math Circle; Teaching Moves for Math Circles–that we offer on a rotating basis. Each quarter we also run a coach-led observation of a math circle at one of our sites, which includes a debrief with the observed MC2 lead teacher. We will regularly update this page with our quarterly workshop schedule; when you complete our teacher interest form and you will be placed on the workshop mailing list. Our next Observation Workshop will be held at UChicago on Saturday, March 30th!